Australian homes have their own particular charms. Each era, leading Australian architects designed homes that reflected the fashion of the time—yet adapted their designs to the climate and tastes of the Australian public. Choose an awning that suits your home perfectly and you’ll have a customised look that will make passers-by do a double-take. Victorian homes: Accent the curvy lines of these classic homes with awnings that add some extra curves of their own. 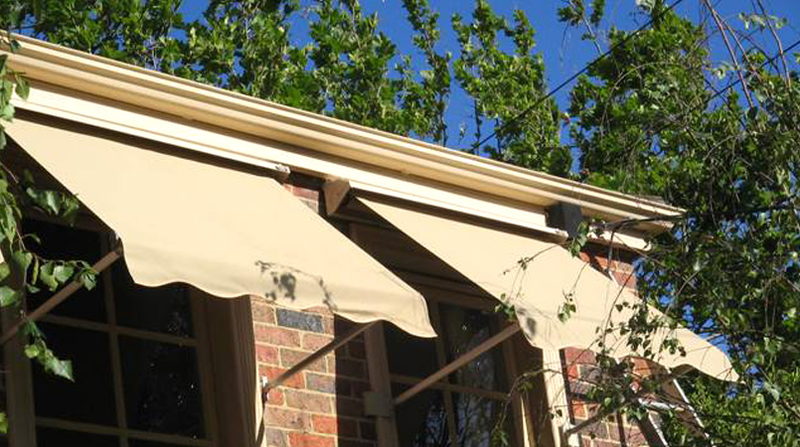 The arched, full lines of these fixed canopy awnings are the perfect way to add depth and colour to your Victorian home’s exterior. Workers’ cottages:These trendy homes, once housing for the working poor, exude all the more charm with a utilitarian, yet picture-pretty fixed café awning. Inner-city terrace homes: Crank up the urban charm of these 19th-century beauties with a versatile convertible awning. 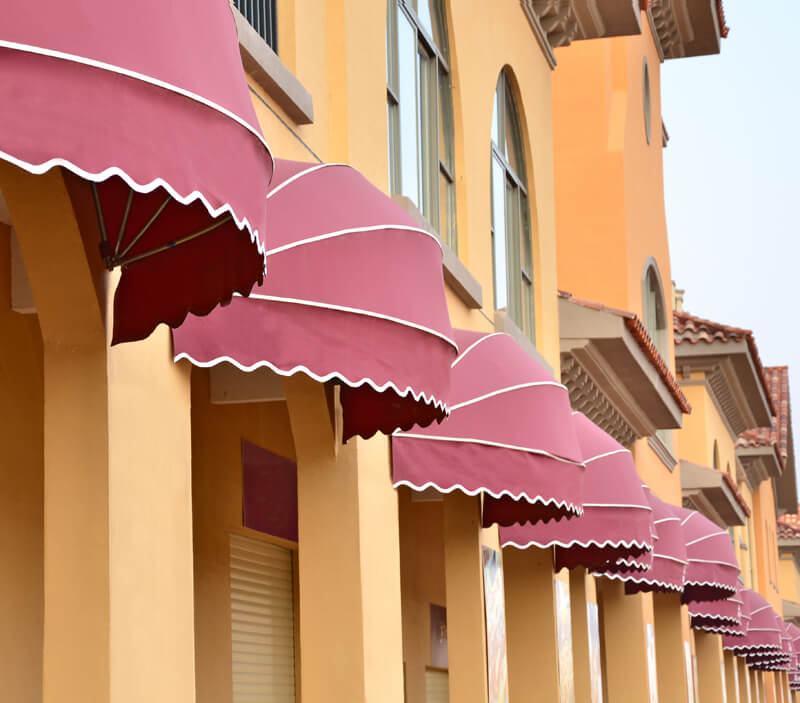 Choose a scalloped awning in a solid colour to give your home both period character and a sleek, city-born look. Federation homes: Informal, uniquely Aussie variations on late Victorian architecture, these architectural gems are breezy, gracious, and welcoming. 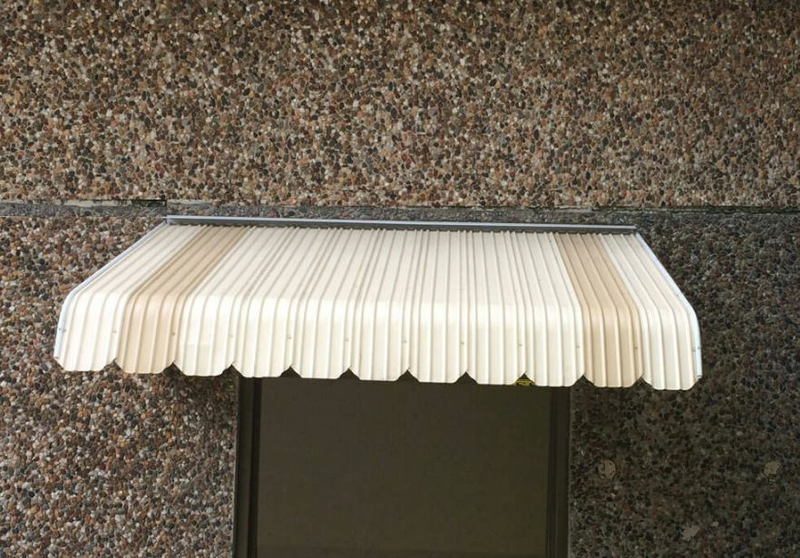 Throw out the welcome mat for your guests with a scalloped, fixed canopy awning with a more casual look than the formal arched ones we recommend for older homes. California bungalows: Inspired by California’s Craftsman movement, these homes demand a pared-back, form-follows-function design in an awning. 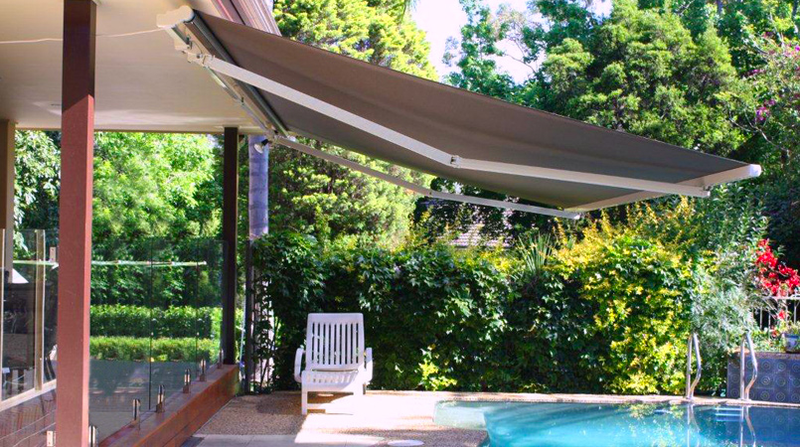 Try a Flexi-Fit pivot arm awning in earth tones to mirror the sleek lines and nature-inspired colours on these houses. Postwar triple-fronted brick veneer homes:These modest homes housed the growing families of the men and women who defended the homeland during World War II. Complement their modest, homey lines with the distinctively retro look of colourbond steel awnings. Choose striped to double down on the charm factor. Mid-century modern and modernist homes: The sleek, geometric lines of these homes demand awnings that look as streamlined as the homes themselves. Furthermore, since the point of these architectural styles is to allow as much nature inside as possible, the awning must be fully retractable to get out of the way of the design when you want a full view. 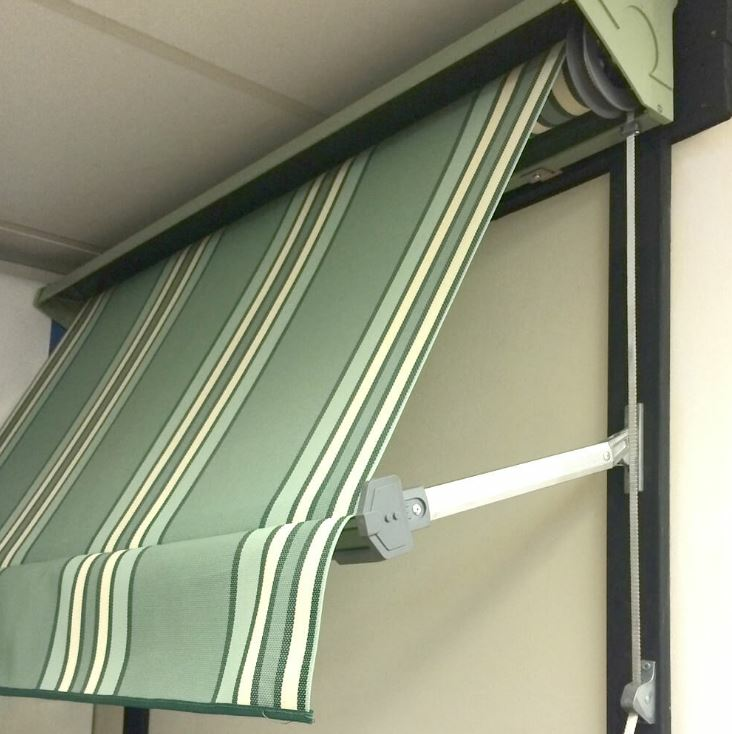 The folding arm awning in a sleek solid to complement your home’s colours is the perfect choice. 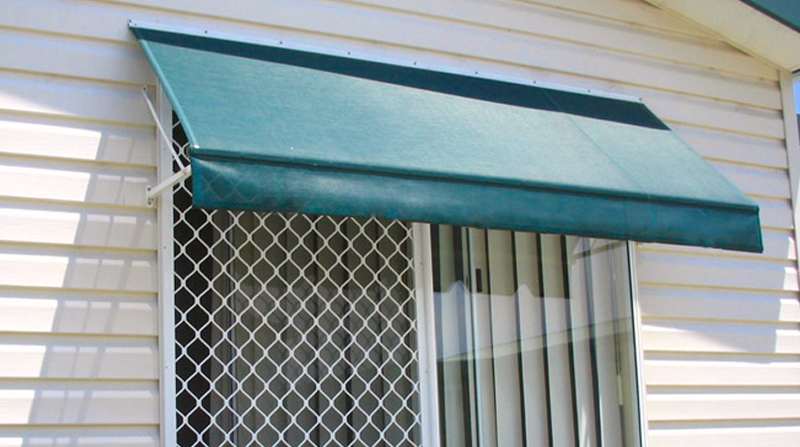 With the right awning, your home can both protect you from the sun’s sizzle and add design and colour to your home. 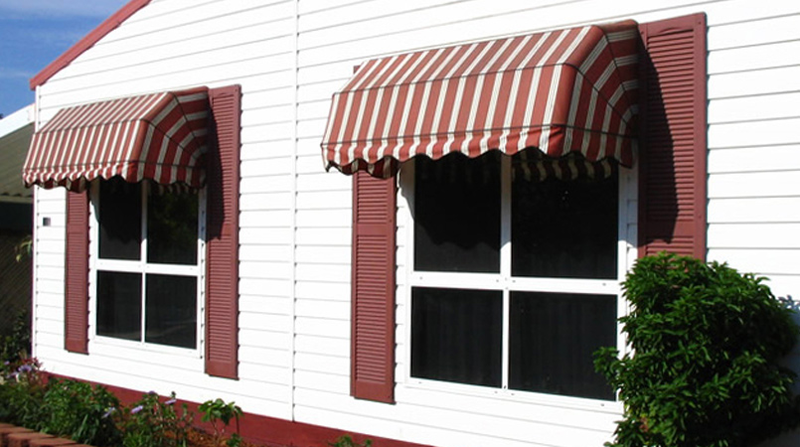 To find the perfect awnings for your home, contact the design experts at Apollo Blinds today.